FuseBox Radio Broadcast for the Week of June 17, 2015 | BlackRadioIsBack.com - Official Blog of the Syndicated FuseBox Radio Broadcast! 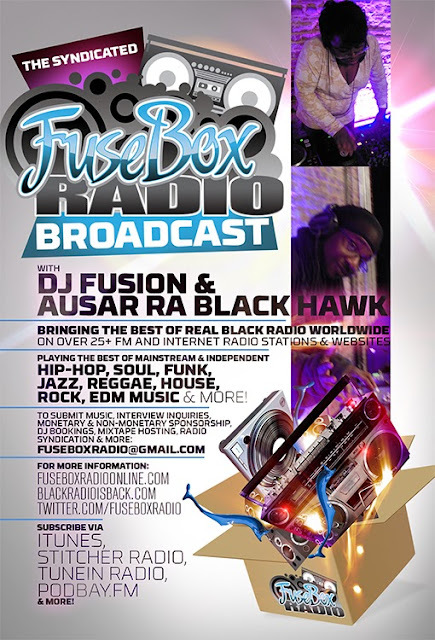 This is the latest, BRAND NEW episode of the syndicated FuseBox Radio Broadcast with DJ Fusion & Ausar Ra Black Hawk for the week of June 17, 2015 with some new and classic music from the international Black Diaspora, news and commentary. The commentary this week touched base on the role of independent Black American media and our views as a whole during what really felt like a past few days of utterly “Black Bodies and Minds Aren’t REALLY Treasured by damned near anyone” news, including the upcoming savage displacement of Blacks of Haitian descent in the Dominican Republic, the utterly boneheaded responses from folks of all backgrounds to the blackface act of Rachel Dolezel (and pretty much being told that “blackness” can be put on like a hat when convenient as long as you’re white and should be an honor as long as people are “down for the cause”), more situations of blatant discrimination against young Black children in the U.S. and the horrendous act of domestic terrorism in Charleston, SC at the Emanuel African Methodist Episcopal Church. We also talked about a few popular culture things to round off the show's talk segment, including the upcoming Janet Jackson tour and her career as a whole through the years. 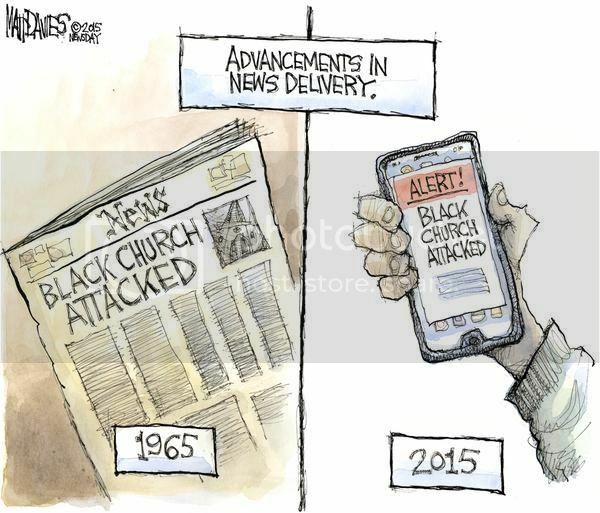 There is no brand new Black Agenda Report news mini-segment on this week's episode due to our long commentary.